These Naomi roses are the ultimate in quality and style with their velvety petals, long, elegant stems and the deepest, dramatic shade of red. 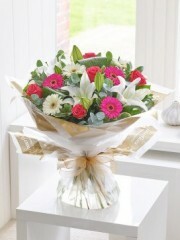 This is a statement bouquet – the perfect choice if you’re keen to make a lasting impression. 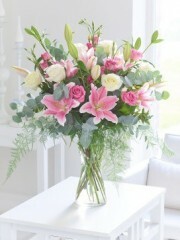 This showcase bouquet is a stunning display of the most popular flower varieties: classic roses and exotic Oriental lilies. 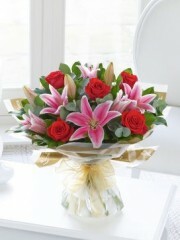 The pink petals of these luxurious lilies with their dark centres blend beautifully with the rich red roses. 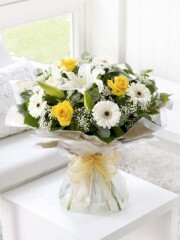 This hand-tied is certainly designed to impress. 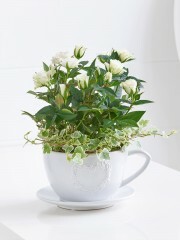 This simple gift is a great way to show your affection. 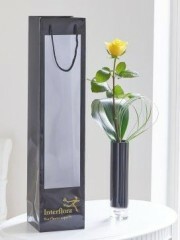 We've chosen elegant bear grass and an aspidistra leaf as the perfect compliment to a single long-stemmed yellow rose presented in a stylish black and gold vase. Plus, this gift is delivered with a 120g box of luxury Maison Fougère chocolates, so it's ideal as a treat for someone special. 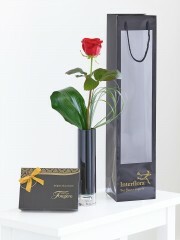 Featuring a single long-stemmed red rose, with bear grass and an aspidistra leaf, presented in a stylish black glass vase, delivered with a 115g box of luxury Maison Fougère chocolates. 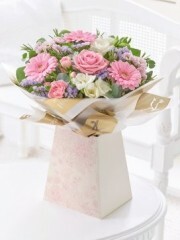 Perth flowers have a great range of types and colours of roses to offer you. 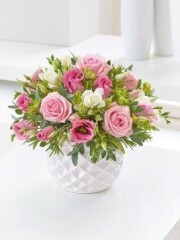 Roses are a great and traditional flower that ooze elegance and style. 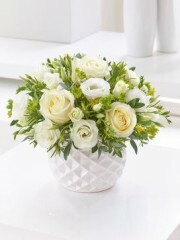 Each rose is unique and our rose bouquets come in different sizes to accommodate to whatever your request. 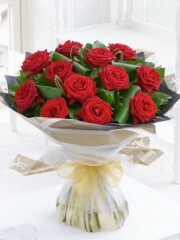 A simple rose bouquet is a perfect gift to say thank you, get well or if you order red roses, “I love you”. Roses are the flowers of passion and they are a great way to express your romantic side. 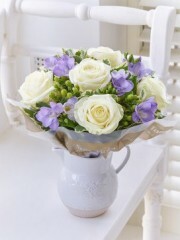 Perth flowers have gorgeous roses that are fresh and of high quality. Perth flowers have chocolates, champagnes, wines, balloons and teddies that we can deliver along with your roses to add a little extra sparkle or spoil someone who is special to you. 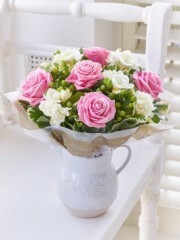 Roses are perfect for every occasion, one of the nations favourite flowers it would be hard to go wrong with a bouquet of roses. 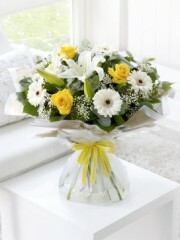 Perth flowers can deliver same day, next day or any day of your choice of course. 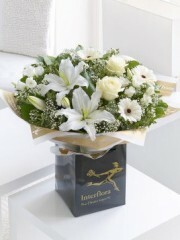 Should you have any queries for our florist you can get in touch with us by giving us a call or contacting us over email.